Home InspirationWeddings	Featured in Style Me Pretty’s Little Black Book! FiftyFlowers has been featured on Style Me Pretty’s Little Black Book, in a totally sweet, rustic chic, wedding in Maryland! All the images provided are from the talented Lindsay & Jacqueline of Readyluck. Here’s one very little sneak peek… you are going to have to click here to see the whole post! 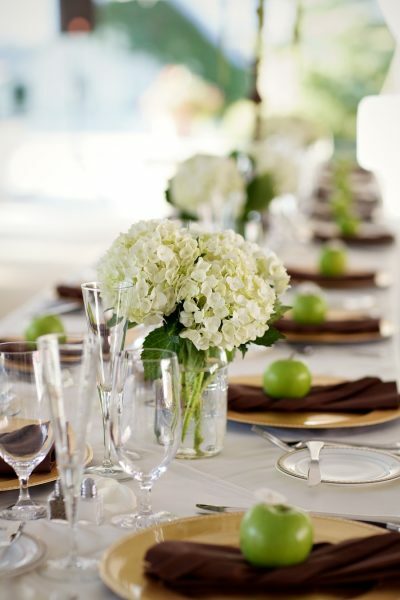 These simple and sweet centerpieces are comprised of a few stems of Ivory White Hydrangeas, placed in mason jars! Love! Now, what are you waiting for, head to SMP’s Little Black Book to check out all of the amazing images!